Spedeworth World Championship - Racewall - fun, exhilarating and dangerous! Superstox Spedeworth Word Championship, first held back in 1961 in Ipswich, but later moved on to Wimbledon stadium. Fun fact about about Wimbledon stadium is that it’s first ever car race was held in 1962 and it was Spedeworth race never the less. In first few years, most of the competitors in World Championship was from England and Czech Republic. It gained worldwide fan base and competitors in next few years. The first ever Spadeworth Word Championship was won by Jan Scott, CZ origin but took home a title for England. Later in sixties, a lot of Scottish and EU based drivers also joined the competition. Most of them were representing their own countries like Germany, Netherlands and Belgium from the NACO organization. Later those years, Superstox races also gained high popularity in Scotland but Scottish Superstox died out in 1980 when Gordon McDougall switched back to race for BriSCA. 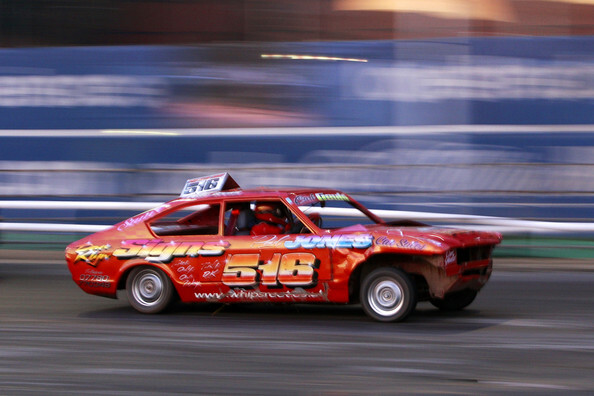 The standings for Superstox Spedeworth Word Championship were highly dominated by England competitors, since its popularity, overall investment and sportsmanship dominated in England itself.